Cold. Non-skiers often remark how cold it must be skiing in the winter, and indeed it can be. But because the temperature is cold does not mean we skiers are cold. In fact, it is difficult to do the required athletic maneuvers with a body too cold to perform. And so we wear clothing that insulates us. To keep our hands and feet, at the ends of the body's heat distribution circuit, from chilling, we not only wear insulated boots and gloves but warm underwear as well so the artery pipelines running down our arms and legs can bring oxygen and nutrients with warmth to where needed. Drinking adequate water helps keeps this circulation system fluid enough to do its job. It's also vital that there be a supply of fat or digesting food in the belly to fuel the furnace that drives the system. One very thin lady ski instructor asked her doctor what she could do, for she was often cold while skiing. His advice, "Eat fat". (This situation will not apply to most persons!) They say that is what the Eskimos do. Another case involved a thin but conditioned mountain climber who, after successfully completing an arduous climb that consumed her fuel resources, actually succumbed in cold weather within a mile of a main road. The body has devices that when necessary save heat for the vital trunk and head areas, so we must keep the core warm in order to keep the extremities warm. Much heat loss occurs from the neck and head because they are often left exposed; covering these areas helps keep the whole body warm. Hats that cover the ears, gaiters that slip over the head and go around the neck, and masks that protect the face are used at extra cold times. Alpine ski boots are designed to be used with one thin to medium pair of socks and, because they are form-fitting, without pant legs tucked inside. Instead, pant cuffs drape over the tops of the boots. In deep powder snow we sometimes use a gaiter to seal the boot top so snow can't get in. If the feet are still cold inside the boots, for both feet and boots are different for different persons and models, there are "boot gloves" you wear on the outsides of the boots and battery-powered heaters that warm boot footbeds. There is a condition known as Raynaud's syndrome that affects some individuals, causing pain in fingers and toes--sometimes severe--when exposed to cold, as well as other effects. An internet search will lead to information on this medical topic that is beyond the current scope. Frostbite. If a body part gets cold enough, it may first begin to hurt and, for light-skinned persons, become pinkish. In a way, that's the good news; it hasn't frozen yet. Heed the warning and warm the hurting part or the whole body up. Your boots should fit snugly but allow room to wiggle the toes a bit so you can encourage circulation there. On cold days you might want to buckle less tightly so you have more blood flow into the feet; loosening the buckles will not affect performance much on a cold day because the plastic of the boots will be stiffer in the colder air anyway. If your hands or fingers begin to hurt, you can wiggle the fingers and/or shake the arms to stimulate circulation. You can also climb uphill a ways to produce body heat. It is the face and ears that are most likely to freeze without your knowing it. On days when this is likely, you and your companion(s) should make a pact and watch each other for signs of frostbite. For darker skins, the flesh may not change color enough to detect frostbite, but lighter skins may turn paler, ivory in color, and become waxy-looking. Lift operators and ski instructors often watch for frostbite on skiers, too, but have other duties as well. If you are skiing alone, be especially aware of your condition. Use all the resources available to protect exposed flesh and to maintain insulation. Assist others, because as people chill, their mental alertness may diminish to the point of not using protective clothing or seeking shelter. Wind. Naturally, wind aggravates the conditions of cold and frostbite. A strong uphill wind can even make skiing downhill difficult. 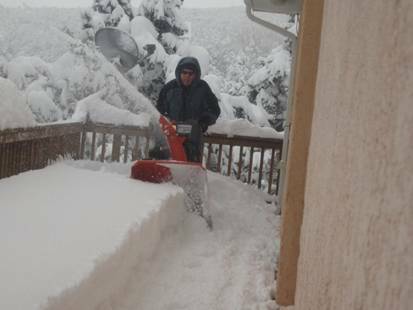 Wind can also rearrange the snow and expose frozen tracks and ribs that are hard to negotiate. It can roll around snow crystals, knocking off their delicate ends and turning them into little balls that then pack more densely and feel almost like sand underfoot when skiing. It can pack a layer on the surface above loose snow underneath, a condition known as breakable crust, which is very difficult to ski. Sometimes you can get out of the wind temporarily by seeking shelter in a grove of trees or amid big rocks. Wind can swing lift chairs about, forcing slow operation. Gondola and tram cars, having more surface area than chair lifts, may need to be shut down when too windy. "White-out." Fog or dense snow in the air can produce a condition in which the air is white with either fog or blowing snow, objects are covered with snow, and the ski slope is erased of tracks by the newly collecting cover. If the snow is soft and deep, even the skis may be out of sight. The only things visible then may be skiers themselves, and they may be moving, so that there is no frame of reference for our balancing sensory devices. Vertigo can result and even good skiers may fall over on gentle terrain when they cannot discern the slope angles. To cope, ski in lower areas and at the sides of runs where trees may give a sense of place. High-altitude ski areas sometimes place poles in a line in the snow, perhaps with circles attached at a fixed height above the snow surface, so that skiers can visualize the perspective better. Lightning. Winter storms are more commonly the non-thunderhead type, but such clouds do occur at times, especially when a new front is arriving. Thunderhead storms at ski areas are more apt to occur in the spring. If you hear thunder or see a lightning flash at a ski area, you should not board a ski lift and you should avoid high points and ridges. Because graupel snow (BB size pellets) is associated with thunderhead clouds, you might stay off lifts if you see that falling even if you haven't yet heard thunder or seen lightning, for the thunder may be coming. Some areas require that ski lifts be closed when thunder is heard or a lightning flash seen and stay closed for a time afterward. If you are caught out unaware and you and your party are exposed, descend promptly but conservatively to a more protected site, keeping a distance among your group's members so that if one gets hit there will be others available to help. Avalanche. Covering this topic is beyond the scope of this website, which deals primarily with skiing within ski areas' boundaries, but a few notes may be in order. Many ski areas are in spots where avalanches are possible and do occur. There have even been snowslides that have buried ski area buildings and taken out lift towers, causing deaths and injuries. And so, many such ski areas have avalanche-trained personnel to reduce the risk from slides. These people perform tests of snow on slide-prone slopes to determine stability or lack thereof, they launch projectiles which explode on impacting snowpack areas, shocking them to loosen them and send down any impending slides, or to stabilize them more. They ski to slopes and toss grenades for the same purpose, and they even ski down some areas to start slides deliberately. Following storms, slide-prone slopes are often closed until these avalanche experts can finish their work, and and any lifts serving such slopes remain closed, too. Sometimes it sounds like a war is going on, from the blasts of the rockets and grenades, until the lifts crank up again and the skiers head out for "freshies" in the new new powder. Unless they have been cleared for use by trained personnel, snow-laden slopes of 30 degrees and up should be avoided. Slopes of even lower angles have slid, depending on conditions. Sometimes your own skiing will start an avalanche. Should this happen or should you spot an avalanche coming down on you from above, perhaps you can ski to the side and let it pass. My daughter once did this when I shouted to her "Ski!" She did, not knowing just why I had yelled, and got away from the small avalanche that passed over where she had been standing. If an avalanche appears possible, you and your party should ski separately so that if one gets caught, others can help. Be sure to note carefully the spot where an avalanche victim was last seen and memorize the likely path from there until the slide stopped.. Immediately start a search of the likely spot, watching for any clothing, ski, or body part that might be above the snow, for successful recovery is more likely in the first moments. A simple device to help in such a search is an avalanche cord that skiers can trail if fearful of getting caught; some even have little markers with arrows that point to the victim and tell how many feet away he or she is. There are also electronic transmitters that reveal a person's presence to others having receivers. Be aware that more slides may follow an initial one, so that it might be wise to keep a spotter on the side of the slide path if you have enough people. Also, if the initial search fails, send someone out to get help so more complete probing can begin. Possibly an avalanche-trained dog will be available to sniff out a victim. Although some victims succumb soon after getting caught, either from injuries or suffocation, live recoveries are known for as much as a day following burial. (With this need for people to do this and that, can you see why a party in avalanche terrain needs to be ample?) Another thing to know about avalanches is that, where they have come down and run out they leave piles and blocks of densely packed snow that can be very difficult to ski, so if you come across such an area, ski carefully. Heat. Yes, one can get very warm while skiing. When the sun shines on the bright snow surface, heat builds up. Exercise warms us, too. And sometimes in spring skiing conditions, the air temperature itself is simply hot. To cope, remove outer clothing layers, open neck areas, wear sun-shading hats, and favor shaded slopes and stops. Drink water. Sun. The sun can be bright in the high mountains even in summer, and is often much brighter in winter. Less atmosphere is above than in the lowlands, and therefore not as much of the ultraviolet light spectrum has been filtered out. According to the Professional Ski Instructors of America Core Concepts manual (page 67), "for every 1,000 feet of elevation gain, the sun's ultraviolet rays increase 5 to 6 per cent." Compounding the effect, radiation is received both from the sky and reflected from the white snow. Eye specialists therefore recommend that goggles or glasses should provide UV protection. Lens colors vary for different purposes. Smoky brown is versatile in cutting glare on bright days but still emphasizing texture shadows on dull days. There are even lenses that change color depending on the amount of light they receive, but they take time to adjust and will not adjust if you are in a dark place looking out at a bright one (such as in a car or under shade trees) or vice versa. In the winter, sun in high mountains is brighter still, and it is a common but unfortunate sight to see some of the worst sunburns at ski areas, especially during college spring break. Exposed skin needs protection, in the form of sunblocks; these come in various strengths and you can select the one that matches the need for your skin. As for the eyes, skin needs UV protection, too, so check for that when you buy a sunblock. Some may cause allergic reactions, so get your doctor's input or at least test them in a small amount first. If in doubt, you should probably use a higher strength. Albedo is a word that indicates the reflectivity of a surface. Obviously, snow has a higher albedo than a forest. Also, newly fallen snow, where the crystal ends are still intact and gleaming, has a higher albedo than snow that has been laying around a while. More protection is therefore needed just after a snowstorm. But even on dull days the UV rays can get through, and you should always wear sunblock while skiing. Too, the weather can change from when you first go out. Sunblocks are rated by their Sun Protection Factor (SPF), which, according to the Skin Cancer Foundation, "Measures the length of time a product protects against skin reddening from UVB, compared to how long the skin takes to redden without protection. If it takes 20 minutes without protection to begin reddening, using an SPF 15 sunscreen theoretically prevents reddening 15 times longer - about 5 hours. (Actually, it may take up to 24 hours after sun exposure for redness to become visible.) To maintain the SPF, reapply sunscreen every two hours and right after swimming. "The Skin Cancer Foundation recommends SPFs of at least 15, which block 93 percent of UVB. While SPFs higher than 30 block only 4 percent more UVB, they may be advisable for sun-sensitive individuals, skin cancer patients, and people at high risk of developing skin cancer. They also allow some margin for error if too little sunscreen is applied or reapplied." Snow. Books have been written on this topic. For our purposes it is important to know that snow comes in many forms. It is said that Eskimos have many words to describe the various forms they know. 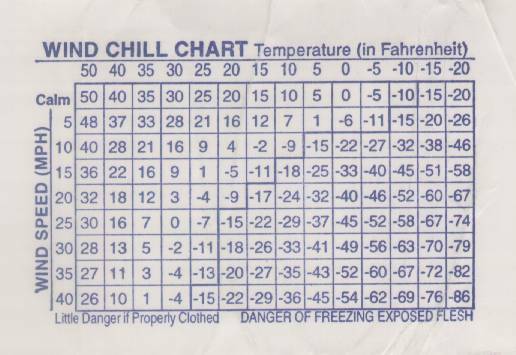 Here are some types using English-language words: powder, ice, bullet-proof, hard, soft, cold, warm, crust, graupel (or pellet or tapioca), windslab, windpack, sastrugi, suncrust, groomed, corduroy, ribbed, rutted, crud, chop, cement, slop, rotten, manmade, bumped (moguled), chicken-head, death-cookie, dry, wet, corn, polished, etc. When snow falls, it comes down in different shapes and densities depending on the temperature, wind, and moisture content of the cloud sending it. One way these differences show up is in the density of the fallen snow. The rule of thumb is that snow is 10% water; that is, 10 inches of snow would, when melted, yield 1 inch of water (some generalize that a foot of snow yields 1 inch of water). But snowfalls producing snow of 3% density occur, and others come down partly as rain. As you can imagine, these variations produce very different skiing situations. Once on the ground, the snow gets denser over time. Snow, or ice, is in the hexagonal mineral system, so that it has a 6-sided symmetry. You can often see the 6 arms of the flakes when larger ones fall on your parka while skiing. The molecules at the little crystal ends of these arms migrate toward the snowflake's center as time passes. This process is hastened on ski slopes from traffic there. Each time a skier slides over the surface, a bit of the snow melts under the weight and friction, and then refreezes immediately after the person passes. This "polishes" the snow surface and makes it harder. Ski areas then employ machines to groom the snow back into a softer surface and these machines also pack down selected slopes that might have had fresh snowfall for those lower level skiers who have not yet become skilled in powder skiing. As the season goes on, the snowpack gets denser still. Sometime in the spring the snowpack begins adding heat, which tends to be distributed throghout the snowpack, and as a result little of the snow melts until most of the pack has reached the melting point. Then melting begins, but the water remains trapped among the snow crystals, which may now be more the size and shape of corn kernels, until the pack as a whole reaches a density of about 57 %, then water begins draining out and the snowpack can disappear from a given area in days. Because of the variations in snow, we ski with different tactics. We may even use different equipment, and certainly will consider using waxes on our ski bases that are specific to the types of snow. Generally a hard wax is used for hard snow and a soft one for soft snow, although waxing is a topic in itself. Dedicated waxers will place thermometers in the snow to get accurate information on what wax is best for the conditions. For anyone who has skiied many days and in varied temperatures, the different sliding capability of skis should have been observed. Very cold snow is actually harder than warmer snow and of course will not melt as readily from the weight and friction of a passing skier. Therefore, very cold snow (say, below 10 degrees Fahrenheit) feels gritty underski and even squeaks when walked or skiied upon. Warmer snow tends to feel much more slippery. Warm and wet snow may hold so much moisture that a suction effect occurs due to capillarity attraction between the water in the snow and the ski base. Ski technicians then "structure" their ski bases (putting myriad small grooves in them) or wax in big Xs. Clothing to cope. Already, information has been given about keeping the body warm by keeping all parts of it insulated--head and trunk plus the "pipelines" of legs and arms to the feet and hands. But there are times when we are too warm. The solution is to "layer" your clothing so that you can add or remove parts of it as needed. Cotton fabrics are generally not practical. They absorb moisture either from our bodies or the snow, and when they do they lose much of their insulating value. Wool works better. Modern fabrics such as polypropolene and fleece also work well. Outer garments should be of windproof fabrics, as open weaves allow the wind to come through to chill you. If you ski in an area where there is winter rain, you will need rain gear; several fabrics now are both breathable (allowing body moisture to pass out) but waterproof (blocking external moisture from getting in). In springtime, use lighter weight gloves rather than baring your hands, in case you should fall and need to put a hand down to cushion your drop, which might cause a scrape. Shorts and bare arms are fun in warm weather, but carry the same risks in case of a fall. Trees and rocks. Alongside and even in the midst of ski areas are trees and rocks. Some skiers even venture into the trees for skiing. They are hazards, however, and care should be taken, as in recent years many of the deaths recorded at ski areas have been due to impacts, more on trees than rocks. Helmets may help reduce a blow to the head, but not an impact to the chest, especially if a stubby branch protrudes from the tree trunk. Snow in the vicinity of these obstacles often differs from that elsewhere, and skiers may find themselves getting tossed unexpectedly by the changing conditions. Hopefully, this little note will prevent at least one such incident. Lift towers and other man-made devices and structures. Much the same as for trees and rocks. Other skiers, boarders, etc. Similar to trees and rocks, except other skiers and boarders move, making them even harder to avoid and arguing for a sufficient skill level to be available to adjust one's own movement patterns and speed, much like merging or changing lanes while driving a car in traffic. Altitude effects. [You may find this information on altitude effects useful, but this is not medical advice; consult your doctor to confirm its application to you, as all our bodies differ.] Mountain sickness may occur to some persons who ascend from lowland areas and engage in vigorous activities such as skiing. There is significantly less oxygen at higher altitudes than lower ones, and it takes time for our bodies to adjust to this shortfall. 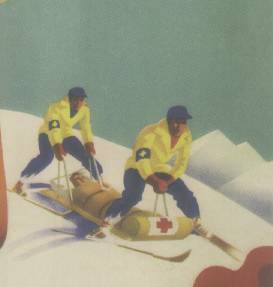 Different individuals may experience various degrees of fatigue, headache, nausea, insomnia, and shortness of breath, making skiing difficult. A change in hearing acuity may occur, too. For most those so affected the effects may compromise performance but will not preclude activity. But for stronger effects, a day or a few days of rest may offset the condition, although for some a week or more may be required to restore an adequate performance level. Rest, drinking of water (unless otherwise advised such as if on medication), and minimizing or avoiding use of alcohol are suggested by doctors practicing in the high country. Breathing air enriched by extra oxygen is sometimes used to reduce symptoms, and devices for this can be rented at some ski areas, although a doctor's prescription may first be needed . There are more serious effects of altitude also, such as pulmonary (lungs) edema (swelling) and cerebral (brain) edema, which may be life-threatening; medical attention should be sought immediately if these are suspected. Immediate descent to a lower altitude may be required. Some skiers who come to high-altitude areas take prescription medicine such as diamox, sometimes in advance based on their doctor's advice, to reduce effects; if you do, follow the instructions for same and if advised to limit fluid intake, do so. Search on diamox within Wikipedia on the internet for more information. Another approach that we know of but have no experience with is to breathe canned oxygen, such as is available at http://www.oxygeninacan.com. Curiously, those who live or otherwise remain at higher altitudes for some time also report unusual symptoms when they descend. If a person is seriously affected by a change in altitude and does not respond to remedies, they may not need to give up skiing, for some ski areas are at lower altitudes than others--for instance, in Maine and British Columbia, even Lake Tahoe in California. One can also ski the lower lifts of a favorite high-altitude ski area. For instance, some ski lifts go as high as 12,800 feet altitude, whereas the ski lift bases are several thousand feet lower and even the tops of lower lifts may be far below the tops of the highest lifts. Some ski area maps indicate the elevations of lift bases and tops so you can plan your preferred altitudes. 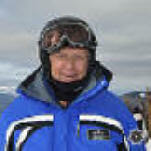 On-snow ski area personnel. Ski patrol is a lot like the highway patrol and ambulance service combined, overseeing skier-boarder behavior, attempting to correct problems, marking or closing unsafe areas, and performing first-aid and rescue transportation off the mountain to a medical facility, sometimes located at the ski area base. Ski areas also station ski traffic controllers and "ambassadors" to be useful in whatever way needed. If you need to be transported off the mountain, the ski patrol may take you by sled or snowmobile, or in some terrain situations injured skiers are loaded onto a lift while in a rescue device. Rarely, a helicopter may be used. The ski patrol determines the method. In the United States there is usually no charge for non-airborne developed ski slope rescue service; not so in some other regions of the world. Backcountry skiers may be billed for rescue. This "Skiing Environment" page last modified 11/03/2017 07:21:39 AM. Did you come here from a link on another website? For latest version of this page, copy to your browser: http://www.SkiMyBest.com/skienvir.htm. Copyright © 2013, 2014, 2015, 2016, 2017, 2018, 2019. William R Jones.